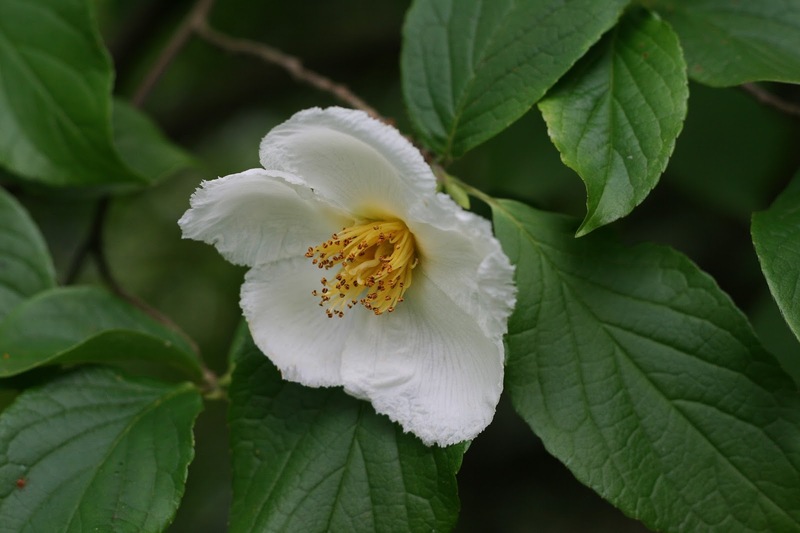 A native of Japan and introduced by Messrs Veitch to the UK. It was previously cultivated in the US and France where it flowered for the first time in 1878. A beautiful medium sized tree bearing glamourous, camellia like flowers with yellow anthers in mid summer. It has distinctive peeling bark and good autumn colour too.